H&R SCUBA CLASS: (front center) Paul (in back left to right) Janele, Mary Beth, Instructor Howard, Thia. 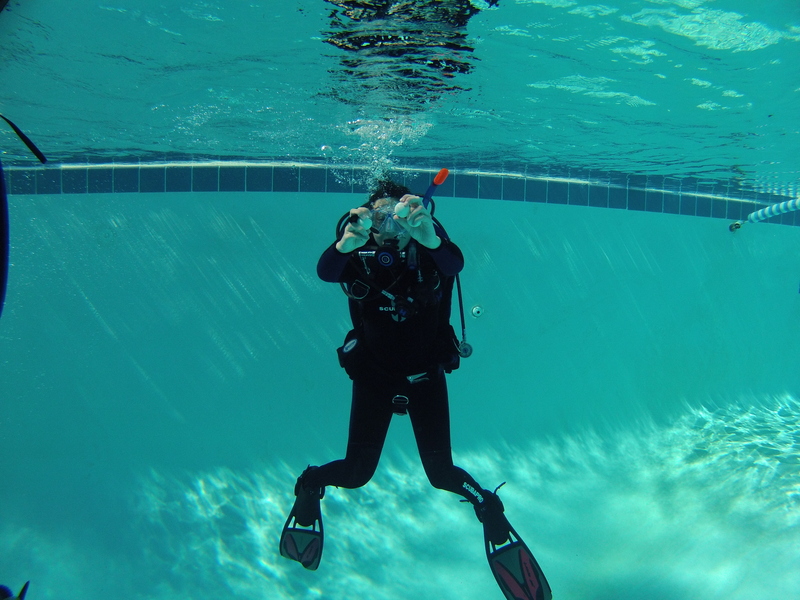 Howard is teaching this family of four how to Scuba Dive. 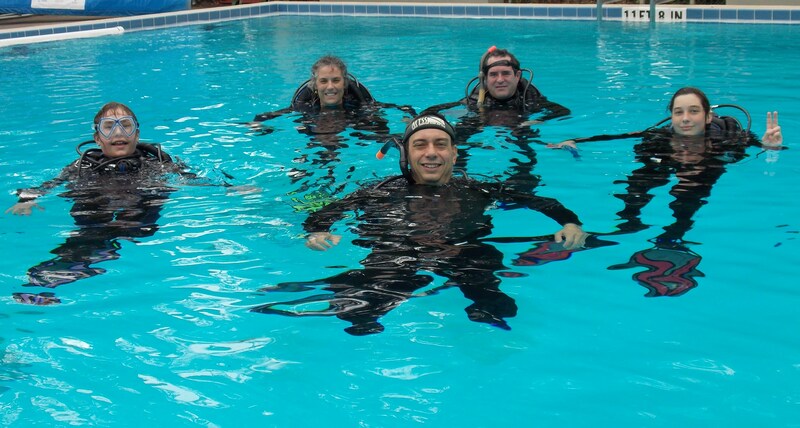 We love seeing lots of Smiles in the H&R SCUBA Class! H&R SCUBA CLASS: (front center) Paul (in back left to right) Janele, Mary Beth, Instructor Howard, Thia. 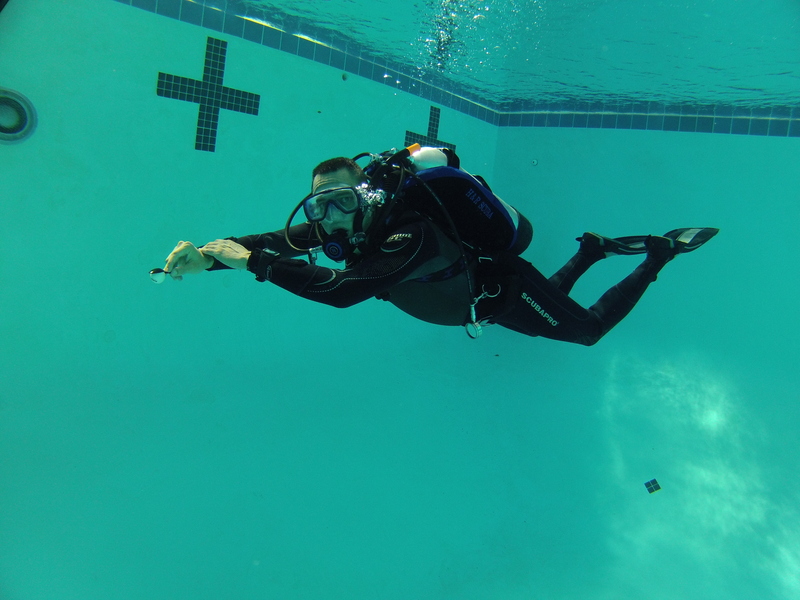 We love seeing lots of Smiles in the H&R SCUBA Class! Thia playing the Ping Pong underwater race game during Free-Time in her last pool class. 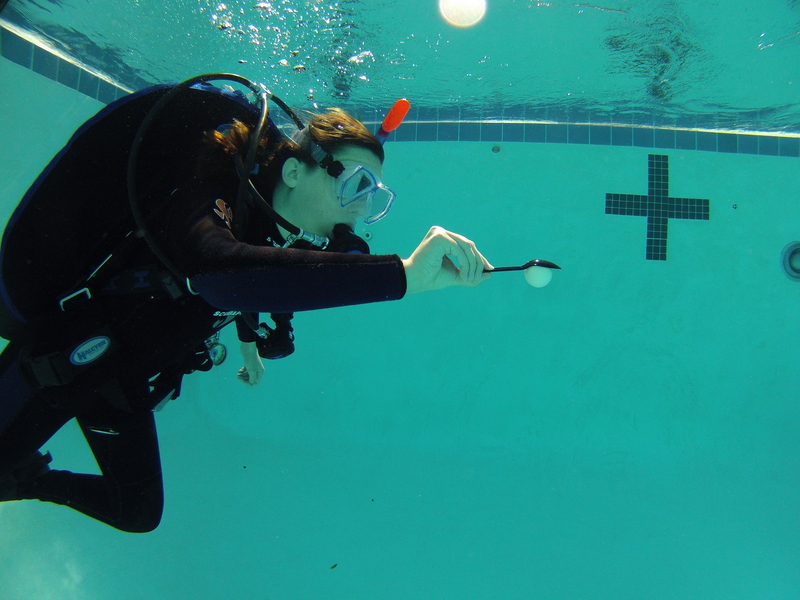 She has to keep the Ping-Pong Ball underwater while holding a plastic spoon over it and Scuba Diving forward. It takes a lot of concentrating and patience. It can pop to the surface any minute. But lots of fun! Paul playing the Ping Pong underwater game during Free-Time in his last pool class. 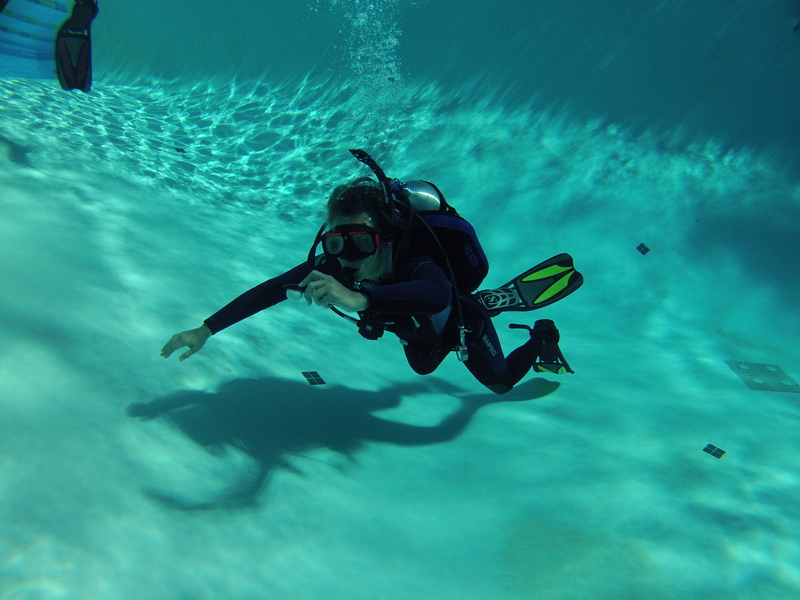 Paul enjoyed playing this underwater game with his Family! 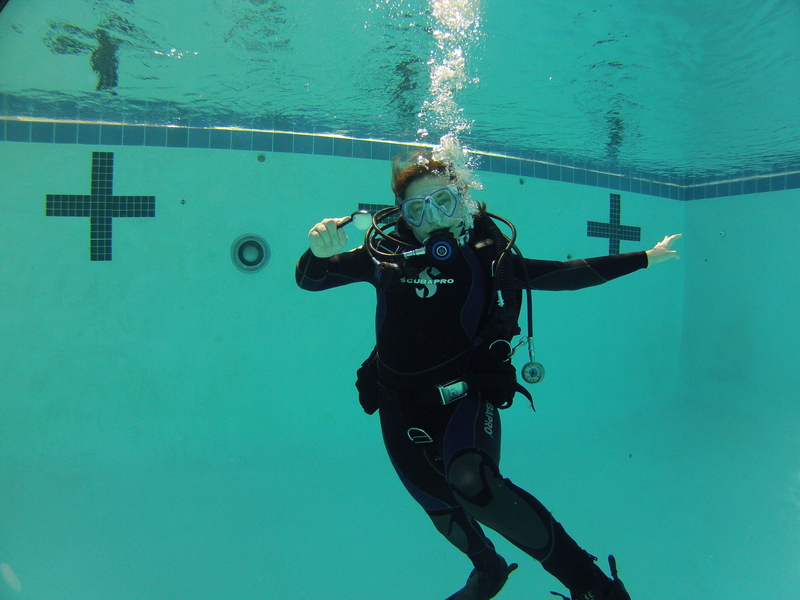 Mary Beth having fun playing an underwater game during Free-Time in her last pool class. Doing good at keeping her ping pong ball underwater with a plastic spoon over it. It’s not as easy as it looks!